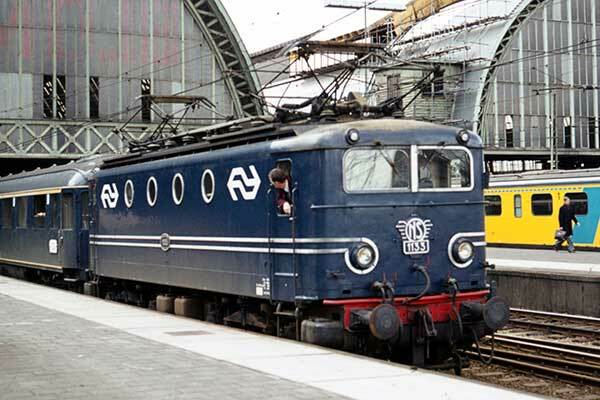 Caption - Dutch Railways (NS) type 11 Bo-Bo electric 1135 at Amsterdam Centraal in 1975. These locos were based on the SNCF BB8100 design and entered service between 1950 and 1956. Sixty locos were constructed and withdrawal began in 1991.